and looking so lovely all in white ! and fit beautifully together when it is closed. A little seahorse sculpture at the handle adds interest. 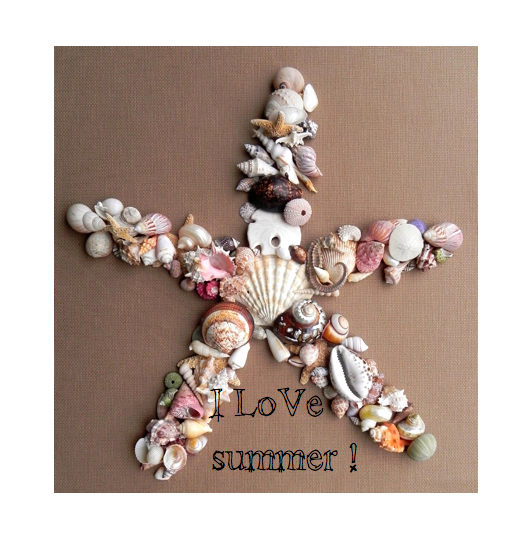 Summer fun and creativity continues at the Cottage by the sea. I stopped by the Nordy's in Fashion Island to peruse & shop. especially with the price being under $40.00 ! embellished lace on the 3/4 sleeves and hem. I wondered why there was no detail at the collar. or was it a conscious decision to meet a certain price point ? "All on the Line " on the Sundance channel. Either way, in my world I felt it needed a little something more. I began foraging through my cluttered studio for that special something. who no longer found it beautiful or useful was the perfect piece. and was torn, fortunately most of the wide lace edging was still intact. new acquisition to give it that extra detail I had envisioned ! spent to a lot of time creating this beautiful lace edging. I am thrilled to give it a whole new life! photo credits Stampington & co.
Seashells are AMAZING architectural wonders. create these unique protective homes for themselves against incredible odds. They continually inspire and delight ! ceramic vase with flowers added on by dipping the fabric in slip. for my readers and followers to make suggestions ! to experiment with different color glazes on each one. Paulette Adams, Summerland Cottage Studio. Unless stated all images and content on this site are the sole property of the author including original copyrighted photographs and creative designs. Feel free to blog my photos but please link back to this page. Thank you !